New Renaissance Singers is pleased to announce their 2014 Annual Spring Concert Schedule. This season, the choral group will be revisiting a favorite old location in Brewer, with a performance at the First Congregational Church of Brewer on Saturday, May 31st at 7:00pm. 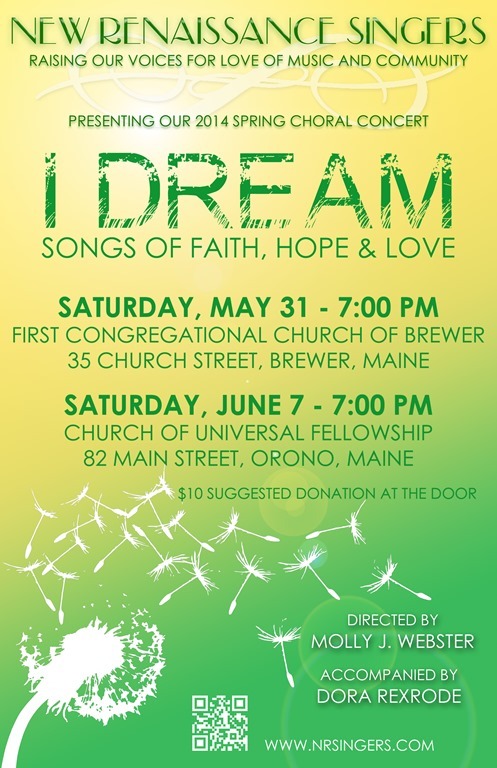 They will wrap up their spring concert season at 7:00pm on Saturday, June 7th at the Church of Universal Fellowship in Orono. Admission to the concerts is a suggested $10 donation. A portion of the concert proceeds will go into the new NRS Student Scholarship Fund as part of New Renaissance Singers’ mission to nurture a love of music in the community and beyond. This year, the funds contributed will go towards providing scholarships to children singing in the Bangor Area Children’s Choir. The group welcomes suggestions for future beneficiaries, especially in the area of vocal music. The repertoire this year features a beautiful collection of songs of hope, peace, love and life, from classic works like Mozart’s Laudate Dominum and Ubi Caritas by Duruflé to energetic pieces like Martin Shaw’s With a Voice of Singing and Road to Freedom by Gwenyth Walker. Choral music fans may also recognize favorites like Rutter’s For the Beauty of the Earth and Cover the World with Love by Jerry Estes. As always, the concert will feature soloists as well as a duet and quartet. New Renaissance Singers is extremely fortunate to be celebrating its second successful season with director, Molly J. Webster. Originally from Patten, Maine, Molly is an alumnus of The University of Maine with degrees in Music Education and Vocal Performance, as well as a Masters of Music in Choral Conducting. 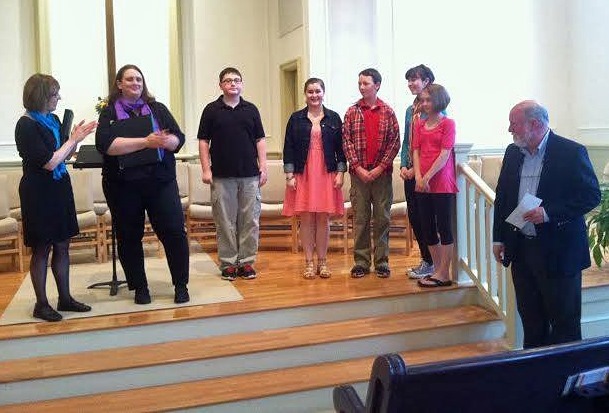 In addition to directing New Renaissance Singers, Molly is the choir director at The Church of Universal Fellowship in Orono, an instructor at The New England School of Communications-Husson University. 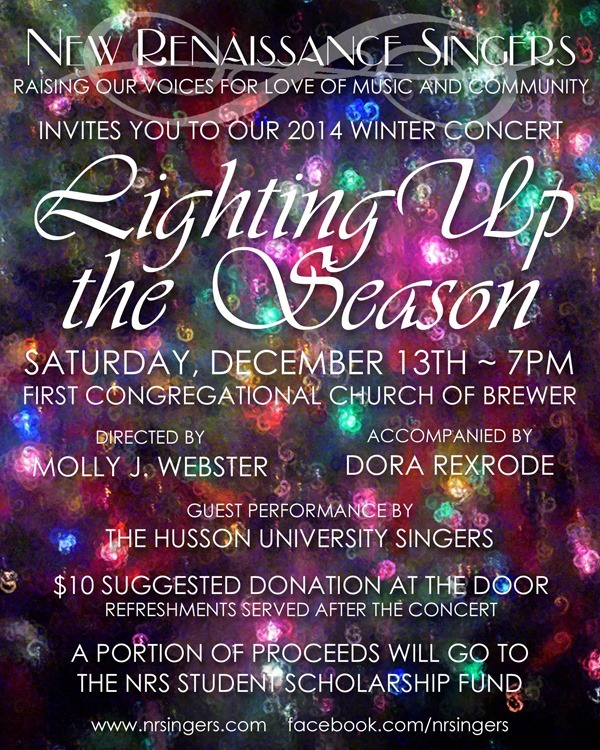 She is also the founder of the Husson University Singers and Divisi, a select choir. 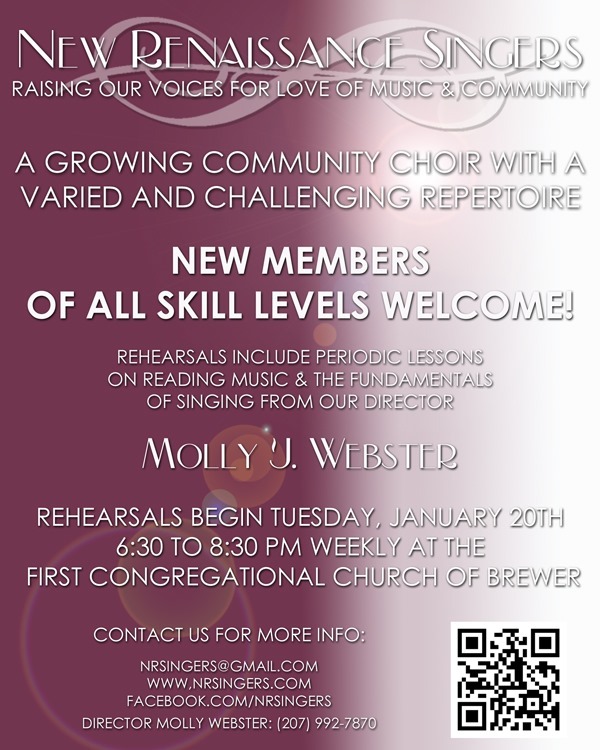 New Renaissance Singers is a well-established, non-audition, multigenerational chorus serving Central and Eastern Maine. We welcome all who share a love of singing, and believe that in uniting our voices in song we can nurture a love of music in our community and beyond. 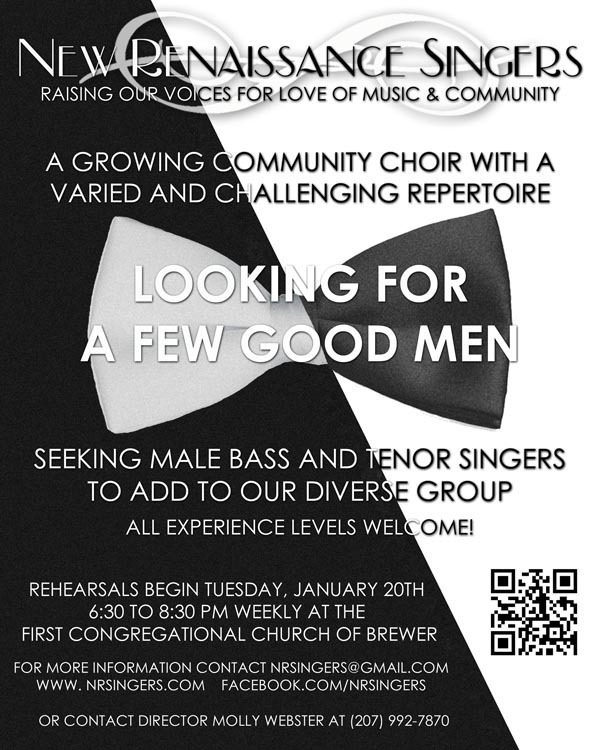 If you love to sing and would like to join the fun, The New Renaissance Singers always welcomes new members. For more information about the group, visit their website: www.nrsingers.com. Visit their Facebook page at https://www.facebook.com/nrsingers , or contact Tricia Griffith, NRS President at (207) 812-0039 or nrsingers@gmail.com. New Renaissance Singers is grateful for the continued support of individuals and businesses throughout the community.